Shifting, shifting in my chair. Hold breath, she’s back, looks worse for wear. My dear lawyer calms me down. My crying eyes; mascara’d clown. Quieting, listening, onward we go. Smiling, laughing, thinking some more. But the kids I adore. I’m glad it’s this lawyer that I hired. Over heartache and worry brought up in that room. But we did it, we signed it; relieved that it’s done. Still, ending a marriage is no kind of fun. Are you divorced? Ever gone through mediation? Pretty rough, no? The final frontier of my declining healthy living habits (my resolve not to drink DC) was squashed by the drama that ensued in that room. 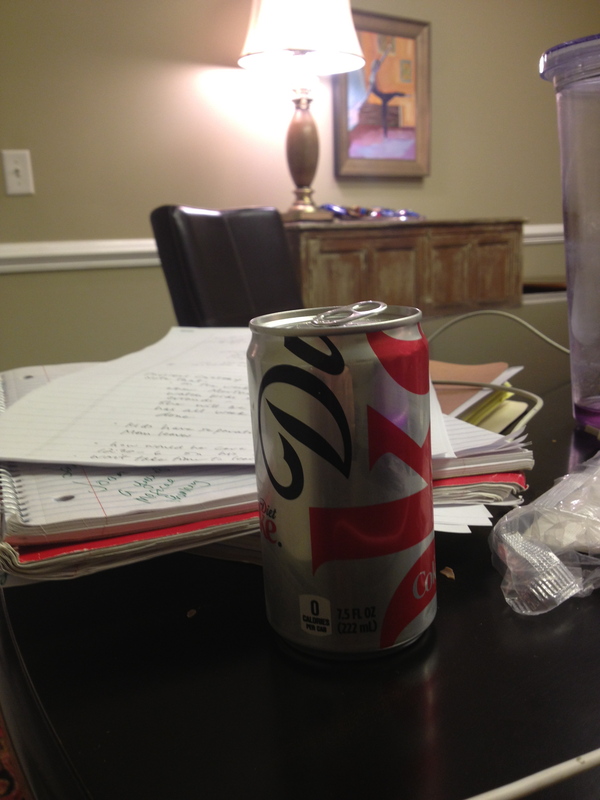 It was a tiny Diet Coke, really, but went amazingly well with the bag of potato chips from under the lamp over there, and the pockets full of Butterfingers I’d stashed on my way out of the house the morning of mediation. Silly! I think that word is growing on me. It’s ok when used on special occasions! Onward and upward. Glad you can find some poetic inspiration amidst the frustration. We didn’t do mediation – we didn’t own much and were able to do it without a lawyer, but I can’t say that necessarily made the steps any easier. We fought constantly and I was sad,stressed and miserable for a long time, but I came out of it stronger. You are currently reading Mediation – A Poem at Running in Mommyland.